Welcome in the New Year 5778! 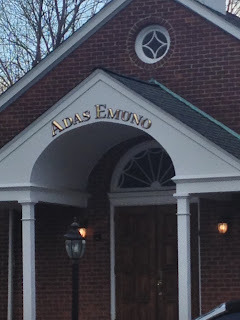 Rabbi Barry Schwartz and Cantor Sandy Horowitz will lead High Holy Day services at Congregation Adas Emuno beginning on Wednesday evening, September 20 at 8 pm with Erev Rosh Hashanah. Pianist Beth Robin will provide musical accompaniment. Children's Services on Rosh Hashanah and Yom Kippur afternoons at 2 pm do not require tickets. High Holy Day tickets are available to non-members. A full schedule of services can be found on the temple website at www.adasemuno.org. Congregation Adas Emuno, a Reform synagogue founded in 1871, is located at 254 Broad Avenue, Leonia. For further information, call 201-592-1712.